I was away for a few days and came home to three returns. 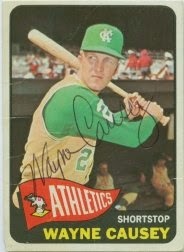 Wayne Causey signed his 1963 and 1964 Topps. 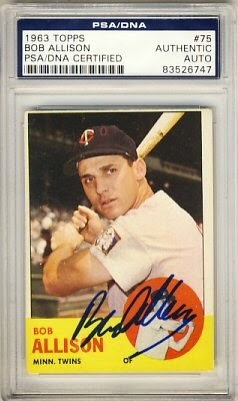 I sent to Mr. Causey a few years ago and he signed a 1965 Topps for me then. For some reason, he has the same picture on all three cards. 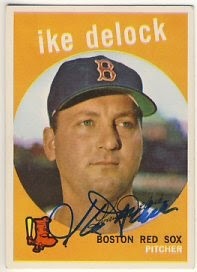 Ike DeLock signed his 1959 and 1963 Topps. 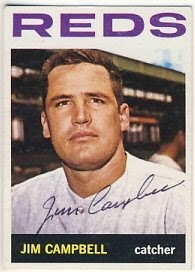 Jim Campbell signed his 1963 and 1964 Topps. I've sent out about 20 requests over the last two weeks and am hoping today's return is the start of a steady stream. Bill Dailey responded to my request in just six days! 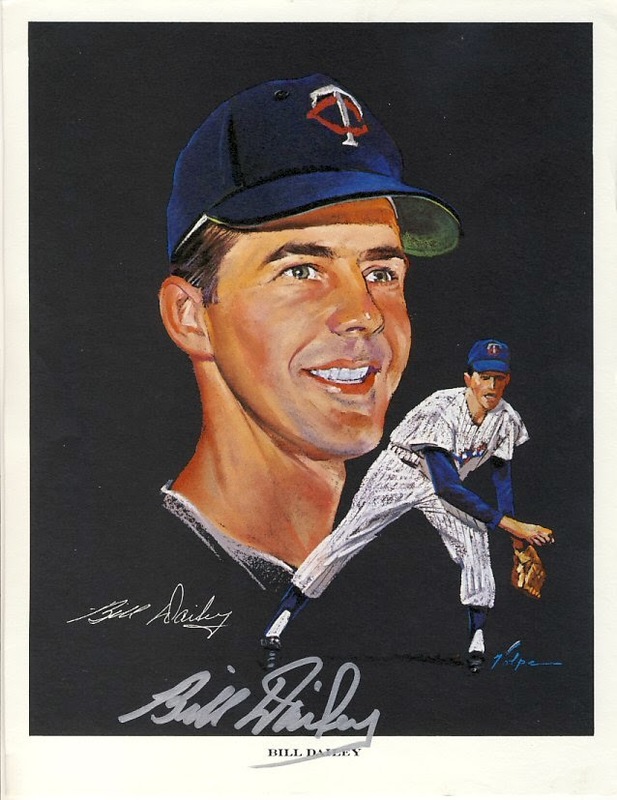 I sent a 1963 Western Oil print as well as a 1963 Topps. I had enclosed a silver sharpie for him to use on the print, which he did. I now have 11 signed prints from the 1963 Western Oil set. There are 24 prints in the set. 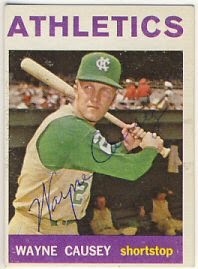 I think the only living player that I don't yet have is Jim Kaat, so I'll have to hope I can find a lot of these already signed. 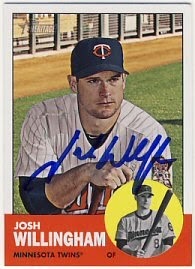 I've sent out a few 1963 and 1964 Topps so I should be getting a steady stream of returns pretty soon. 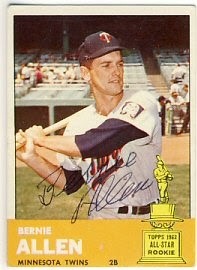 In early July, I sent a 1963 Topps to Bernie Allen and I received in back over the weekend. 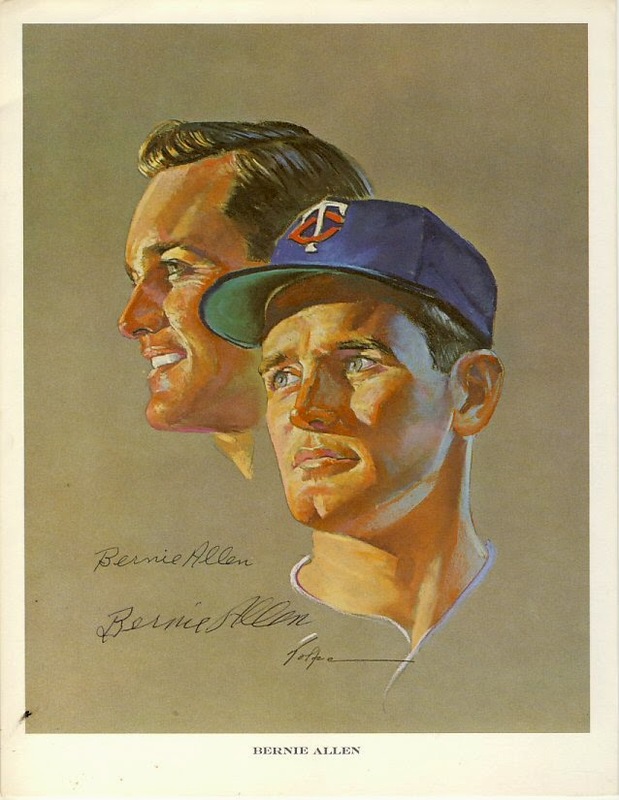 Coincidentally, I purchased a 1964 Western Oil portrait signed by Bernie Allen and received that over the weekend as well. I also spent some of my birthday money on a couple more eBay purchases. 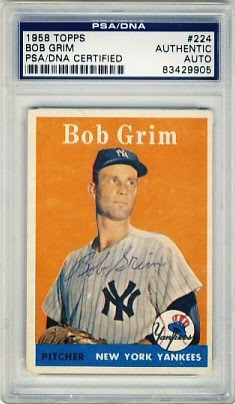 I bought a 1963 Topps signed by Bob Allison, and a 1958 Topps signed by Bob Grim. 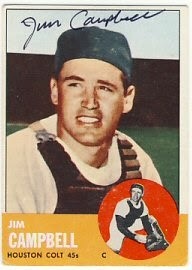 It's been a while since I added a card to my 1958 set. 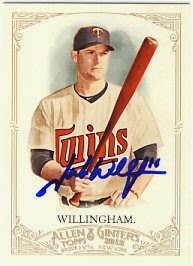 I suppose it was inevitable, but yesterday the Twins traded Josh Willingham. Willingham hadn't been hitting the home runs like he has in the past, but I really enjoy watching a batter you know can put one in the seats at any time. 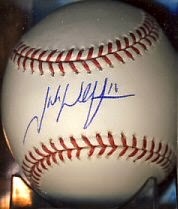 I had pretty good luck getting some autographs from him during the time he was here. 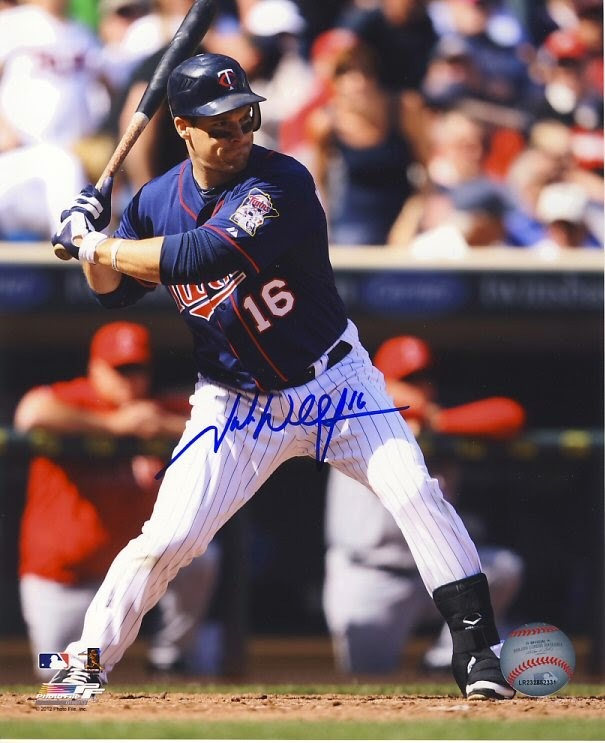 Mostly TwinsFest, and one time at Festival Foods in Brooklyn Park back in 2012. 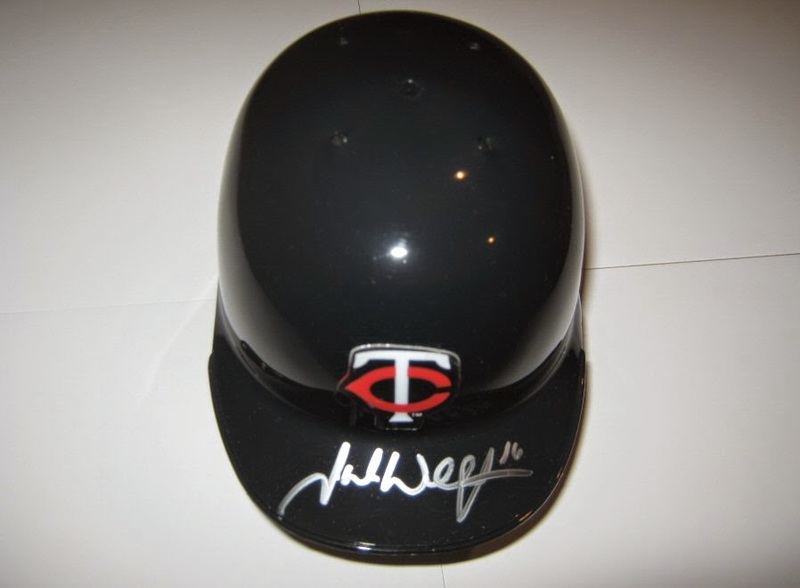 I have several cards signed, as well as a ball, mini helmet, photo and my favorite: his bobblehead. 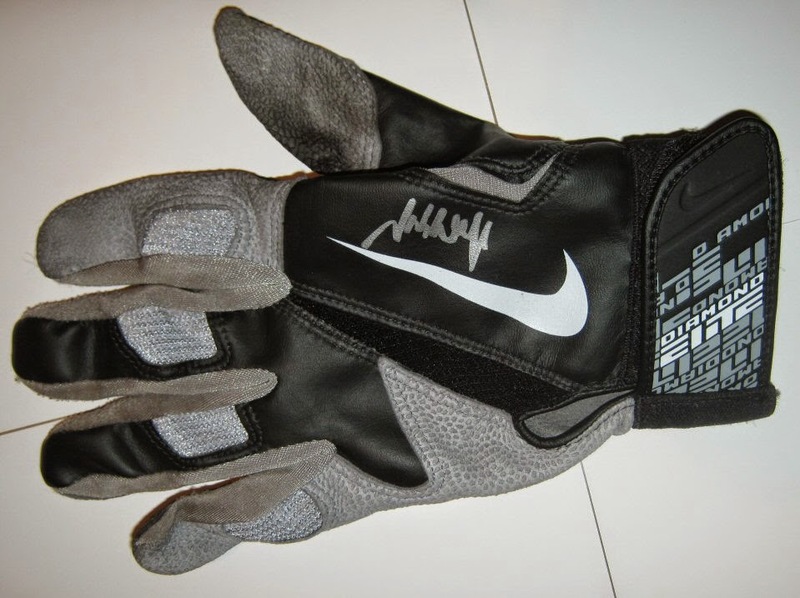 I also bought his game-used, signed cleats and batting glove from FanHQ. 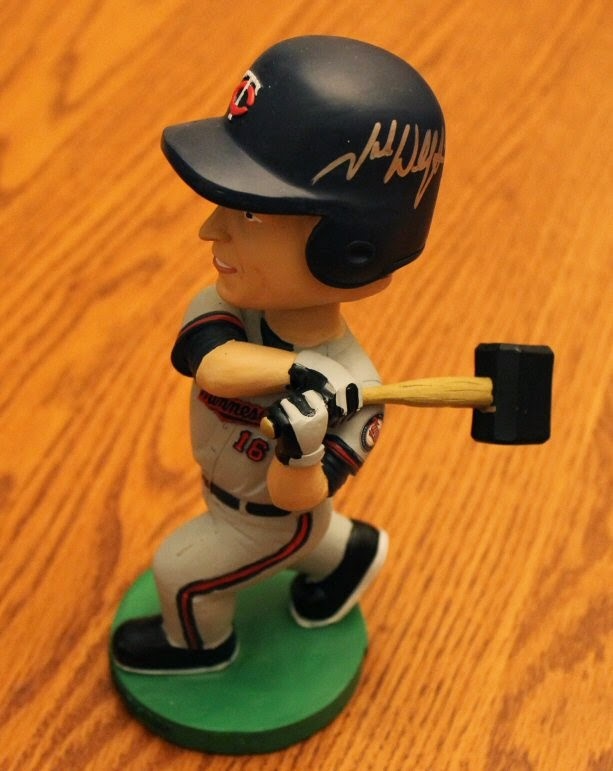 I'm really glad I got him to sign his bobblehead this year at TwinsFest, but I'm disappointed I didn't get a chance to have him sign his 2014 Topps Heritage card. I'm losing ground on that set fast since they're trading players faster than I can get them signed. 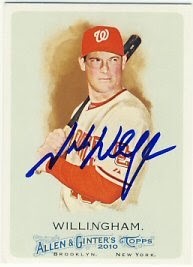 I don't have any of the set signed yet, and already Kevin Coerreia and Willingham are gone. Pelfrey had elbow surgery. Will he ever be back? 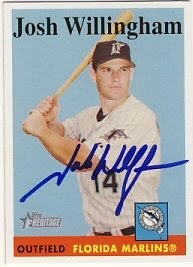 Hicks is back in the minors. 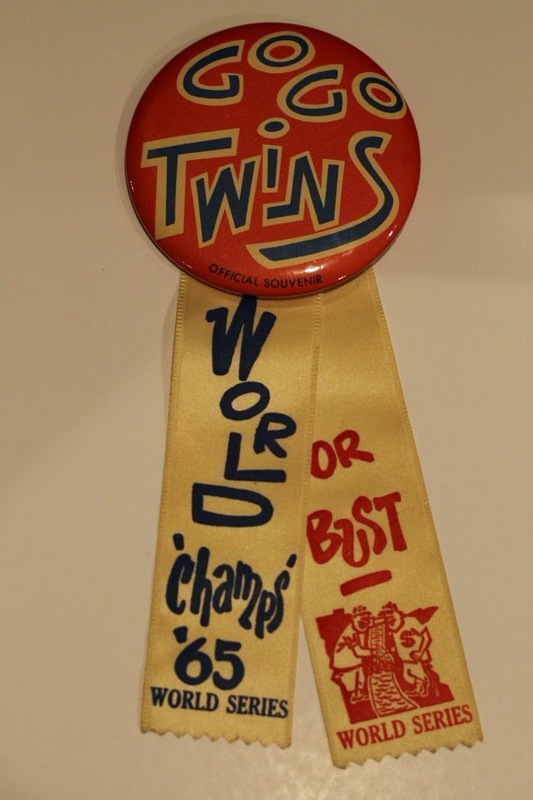 We'll see how many guys from the set are still around once TwinsFest 2015 rolls around. I've been needing some cards to mail out and finally had time to attend a card show today over at the Valley West Mall. 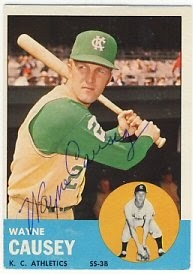 I was looking for some 1963 and 1964 Topps and had my want lists printed out and with me. 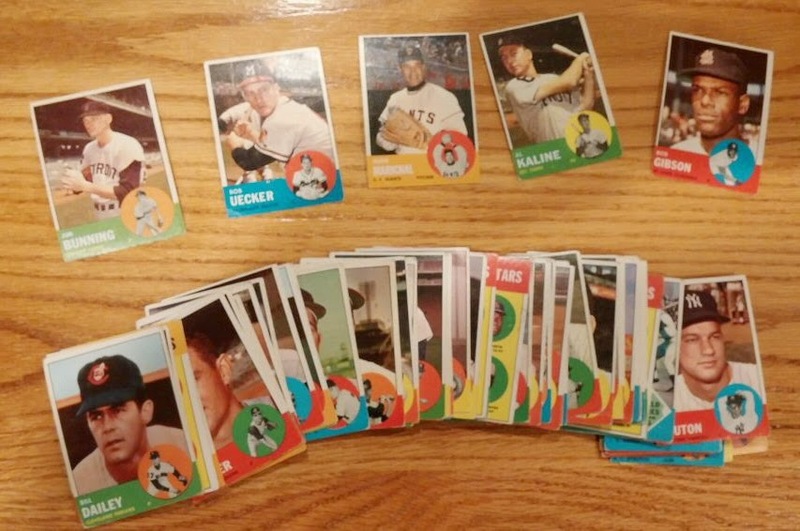 Luckily, one dealer that knows I send out cards for autographs and knows that I like lower-quality cards had a partial set of 1963 Topps and I found almost 80 cards I needed. 7 or 8 high number cards for $2.50 each. 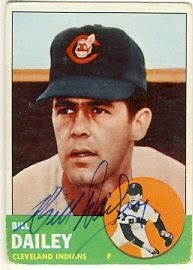 I also bought a few stars including Bunning, Kaline, Gibson and Uecker and Marichal. 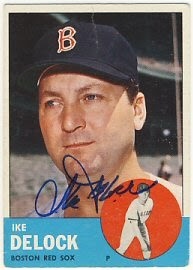 I plan to try to find cards from the 1964 set to send along with these before I sent them all out. My sister and her family gave me a really nice birthday present. It wasn't a surprise because she had texted me a picture of it from the estate sale that she bought it from. I told he to snap it up! I've never seen one like this before and I didn't have any luck on a quick web search and eBay. 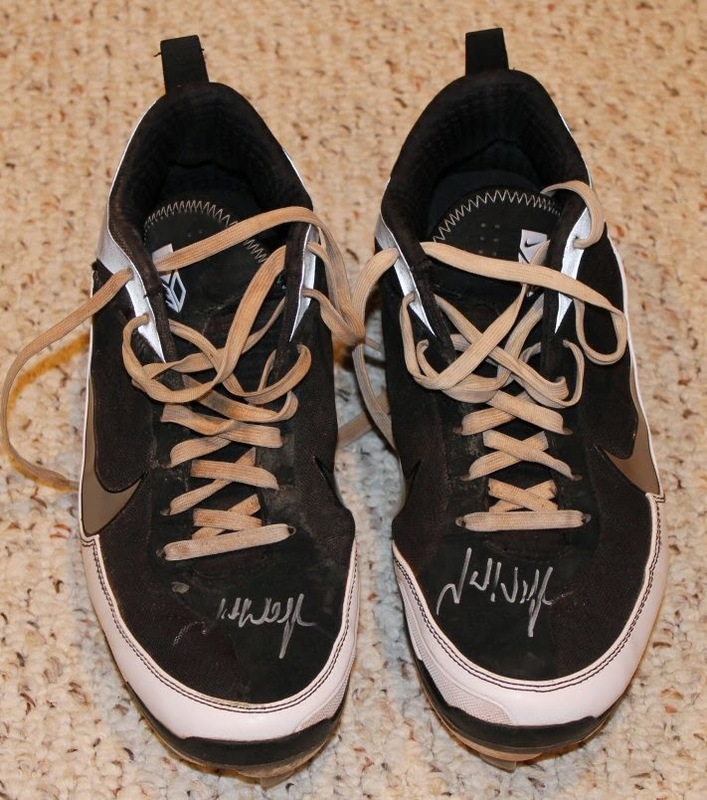 I did see a picture of it in my Google search, but the link to an eBay auction was no longer valid. It's in great shape a great addition to me display case with other memorabilia from the 1965 team (which needs to be dusted very badly! ).